Welcome. Here are some of my latest works. [Campaign] Global campaign for the 2019 Hyundai Santa Fe SUV. And to show all the cababilities of the new SUV, we created a campaign that highlight the importance of respecting the diversity. To show that half of the population of Brazil doesn't have basic sanitation, we created a campaign at Iris Worldwide called HALF OF US (Metade de Nós). With film, activation and website, the campaign reached millions of people and helped raising awarness of this problem in the country. Nike was the COB (Brazilian Olympic Committee) sponsor for the 2016 Olympic Games in Rio. We had to adapt and develop the national campaign under the global concept "Unlimited You". Our job was to create the campaign website, feed the Nike's social network and engage fans to participate on activities. 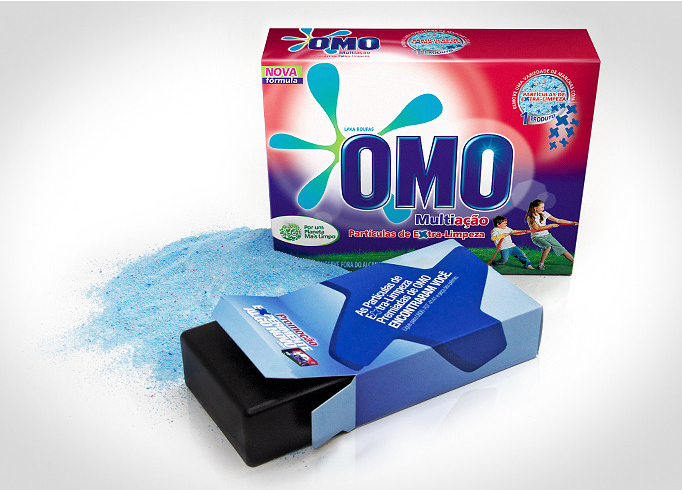 OMO is the leading brand of soap powder in Brazil. In 2010, its main product was relaunched, with Extra-Cleaning Particles that help find dirt in fabrics. More than selling, OMO wanted to spread the news. The result? OMO GPS was the most-read report at Advertising Age website in 2010, with almost 500,000 views, winning several national and international awards. At Kiss FM, Rock 'n' Roll starts at the very beginning of the day. And to make sure everyone knows it, we installed a new biometric turnstile in the entrance to their office: The Turnstile of Rock. To get inside, employees and visitors place their forefinger and little finger onto the sensor – thereby forming the universal hand sign of rock. Kiss FM. Only Rock 'n' Roll is welcome here. Every day, there are about 7 million cars driving around the streets of Sao Paulo. And the pollution emitted by these vehicles is the cause of death of over 4500 people every year. In order to help people visualize this almost invisible problem, we created this project. [Activation] Using just shelves and thousand of products we made art: P.O.P (point-of-purchase) ART. [Print] Print campaign for Ypê washing powder. [Activation] Rock in Rio is one of the most important and crowded music festivals in the world. Therefore, it’s very difficult to stay close to the stage and to your favorite artist. Luckly, Coca Cola FM has thought about it and developed an innovative bottle for the festival: Coca-Cola ROCKZOOM. A regular bottle with special lens that works as a monocle. All you have to do is open it, refresh yourself and get closer to your idol. [Activation] We needed to show that HSBC is the bank for the future multinational companies. [Film] Spot about the partnership between Netshoes and Ayrton Senna Institute "For us, education is also a sport". [Print] Warning campaign for the risks of texting while driving.